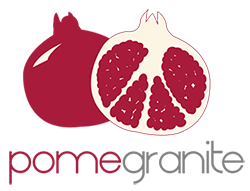 Pomegranite / Articles / Where does the name ‘Pomegranite’ come from? Unsure of whether we know how to spell or not. They usually don’t say anything and just stare at the name for a while and then at us and then back at the name. See that we know how to spell and that the name is a play on the fruit and the stone to create someting new. Seeing the logo they usually respond with “Huh, cool.” These are obviously our favourite people. 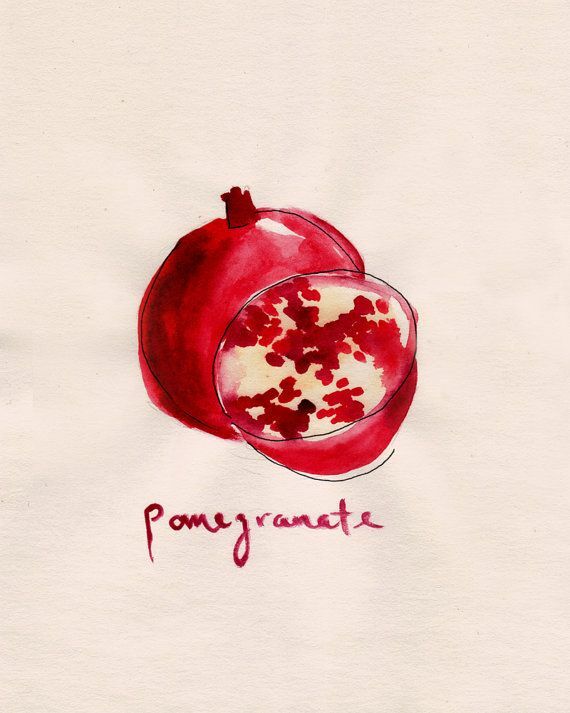 The person doesn’t know how to spell the fruit, pomegranate, and hence doesn’t notice. What can you do? I’d like to be able to say that the name came from a winelands walk Sarah and I were having to discuss our new venture when the fruit fell from an overhanging tree onto the granite stone path, dramatically smashing open the fruit’s outer casing to release its ruby juice to trickle between our toes. But I can’t. What really happened was that I couldn’t sleep. Having struggled to find my place in the world of work, I had stumbled on this idea for a service where I could analyse the map of a brand’s presence online, effectively googling them and providing a report to the client, looking at their reputation and their representation. I invited Sarah to join me, and we quickly learned that people don’t want a report, they want a great online presence, and so we shifted our offering. But back to that first day, just over two years ago. I was sitting up in bed in the middle of the night scribbling by lamplight. I needed something, just for the meantime, to tie all of these ideas together. What popped into my mind while imagining creating my own something out of nothing? My mum. 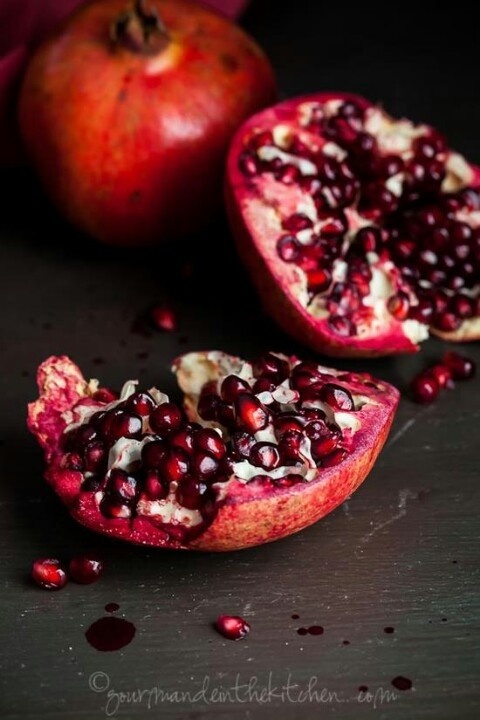 Since I was little, the way she talked about pomegranates in 1950s and 60s industrial Manchester being this precious, exotic treat, carefully eaten, seed by seed with a pin, captured my imagination. Even now, I almost see the scene in black and white with only the fruit in colour. There were, however, practical challenges to conquer: individuality and website domains to name a few. And so I threw in a twist – a quirky contrast that people would get and love, get and hate or not get. Hopefully though, they would remember the name. I got our friend, Vanessa Berger, an incredibly talented designer, to create the logo and off we went! 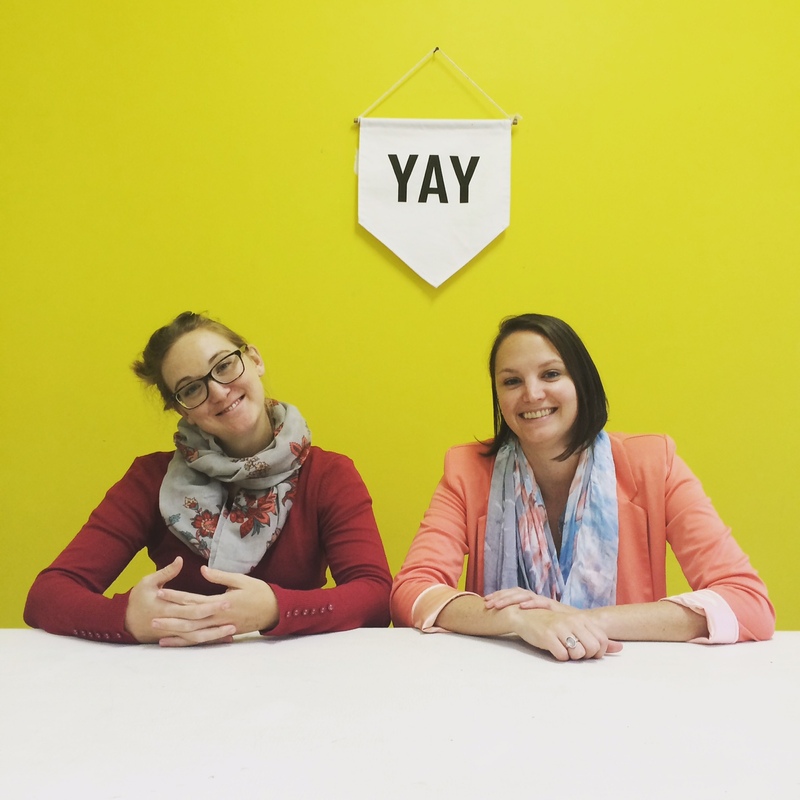 When Sarah joined me in the business after completing her notice period, we went back to look at the name. If we were going to change it, this was the time to do it. But we stuck with it and now we love it. We love it because it’s an interesting shape, not perfectly spherical with a weird sticky-outy bit. A bit like us as people. Certainly not cookie-cut but helluva interesting! We love the contrast in the name. Something bright and fruity, something mineral and cold. I’m still dying to have a photo shoot one day where we hurl pomegrantes at a granite wall. But that seems kind of angry and a waste of delicious fruit. 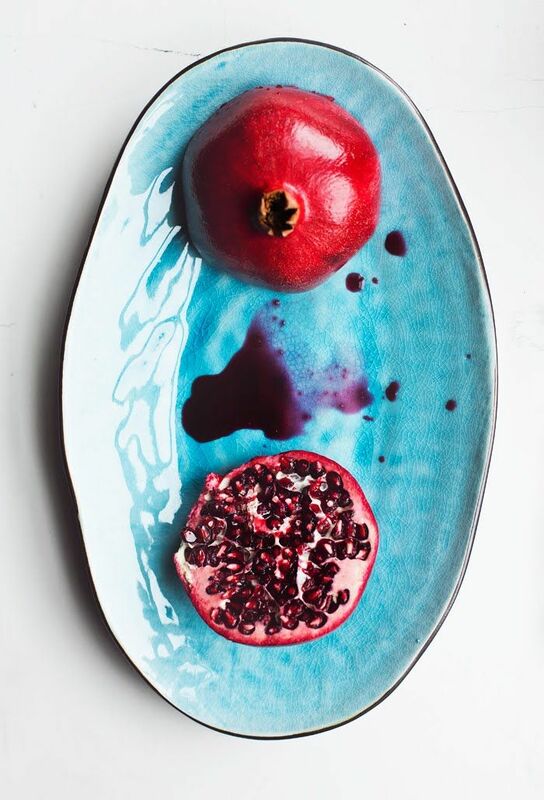 We love it because pomegranates are made up of different parts, like our business. It has a uniform tough outer skin which makes it appear whole but inside are lots of individual, delicate, juicy seeds. The business also has these different parts such as ongoing retainers and once-off projects, design as well as word-driven content. 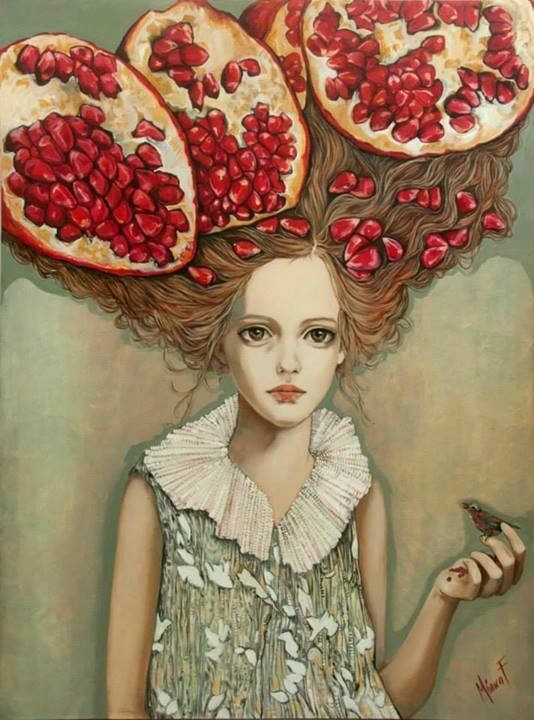 We love it becuase pomegranates are associated with femininity and because the business started as just us women, this felt like a good fit for us. We love it becuase it’s exotic and a little whimsical. So that’s the story. A mad dash that turned out to be a perfect fit for us. 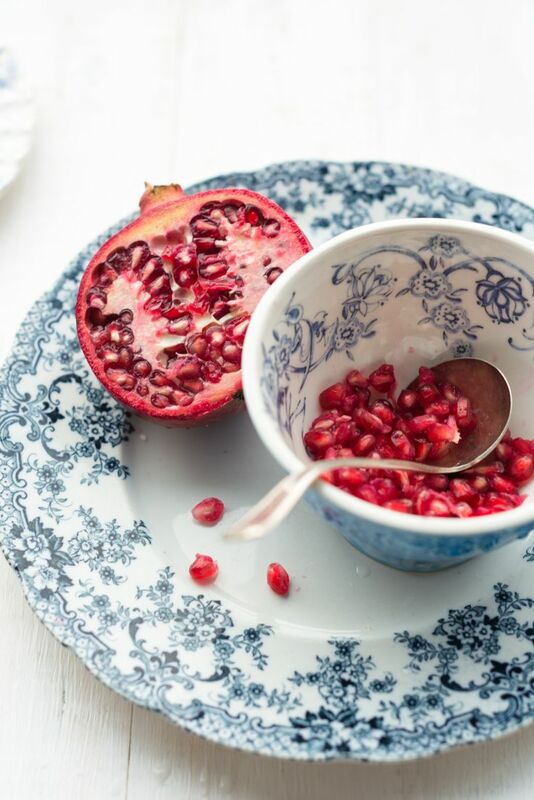 For more pomegranate visual love, check out our Pinterest board, What’s in a name?